The 3-Way adjustable Moton damper features 15 positions of high speed bump, 6 positions low speed bump and 15 positions of rebound adjustment. The low speed bump adjuster is located on top of the high speed bump adjuster and can be adjusted independently. The low speed bump adjuster is very effective in helping to control body roll while adding to turn in and is effective in controlling pitch and squat. 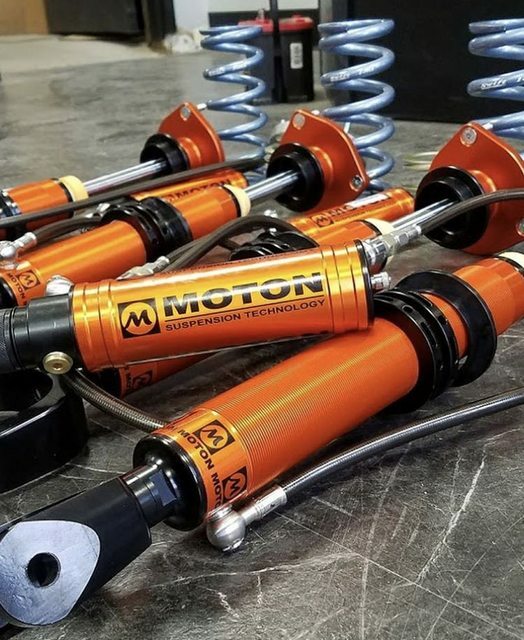 The 3-Way adjustable Moton damper uses (like the 2way adjustable damper) a unique blow off valve system in the canister to totally control curb stones and bumpy track conditions.